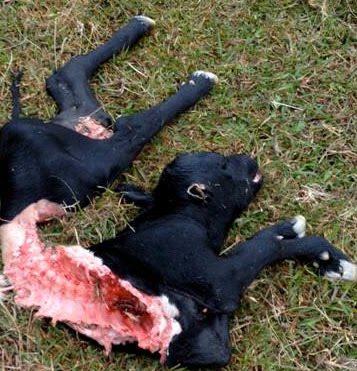 Land owner watched a large black animal slink off from the 30 kg calf remains. They moved it to the back of the property and something lifted up the remains in the photo and carried it away last night. Does not have the sloppy look of a dog attack.